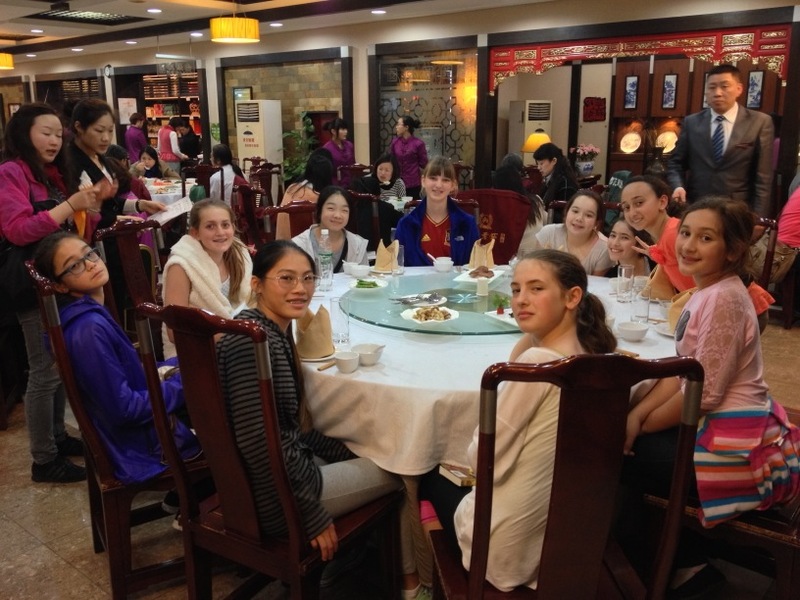 Day 1: We started our first day in Chengdu with a traditional Chinese breakfast buffet, which included a variety of dishes (hot soy milk, tea, fried rice, noodles, fresh fruit, and buns). We continued the day with a visit of the Chengdu Research Base of Giant Panda Breeding, where we discovered the need for pandas to grow up in a very safe and nurturing environment in order to survive. This is especially true in the first few months after birth, as many pandas are born, as humans would call it, prematurely. We also saw many pandas relaxing in their enclosures, trying to cool down from the warm day, as well as the mysterious red panda, even coming within petting distance of one of them. We continued the day with a lunch break at a traditional restaurant, and tried the local snacks, including Ye er Ba (rice cakes wrapped in leaves). In the afternoon, we visited Dufu's thatched cottage and the Wuhou temple. After a small break, we braced the crowds of Jingli Street, a traditional street with local artisan and street food stalls. After enjoying a delicious dinner, where we tried Mapo Doufo (a spicy Sichuan dish combining tofu and spicy chili in a broth), we were delighted by the sights and sounds of the Sichuan opera (Shu Feng Ya Yun). It was difficult for some of us to stay awake, as the jet lag, short night, busy day, numerous translations, and large crowds tired many of us out. 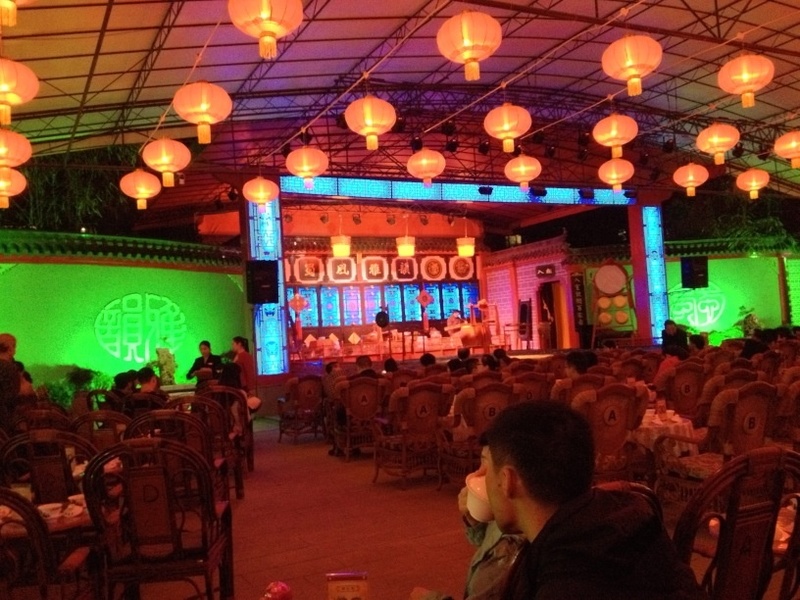 Day 2: Today we drove out of Chengdu and to the neighboring town of Guanghan. Driving through extreme urban and industrial sprawl outside of Chengdu was quite a sight. In Guanghan, we toured the Sanxingdui Museum, where we saw many artifacts, including bronze masks, jade offerings, and gold-plated statues. After a delightful traditional lunch, we drove back to Chengdu to tour Kuan Zhai alley, which proved to be fairly easy compared with the larger crowd of Jingli Street the day before. We ended the afternoon with our arrival at the Wuhou Foreign Language School, where we were warmly welcomed by the students, faculty, and staff. We toured the campus with our host students, had dinner at the school cafeteria, and experienced our first 7:00pm class! Our ISTP students settled into their dorm rooms with their host students and were left under the watchful eyes of the dorm staff member. Day 3: The students started the day early, with a whistle wake-up call at 6:30am. 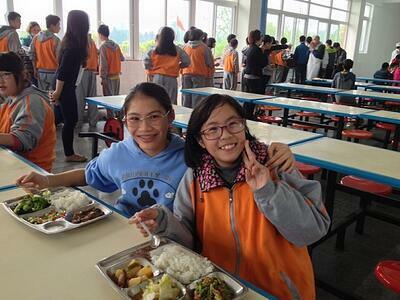 The students then got dressed and ate their breakfast with their entire class at the school cafeteria. Next, they participated in ticao, the morning exercises students partake in every morning before class. 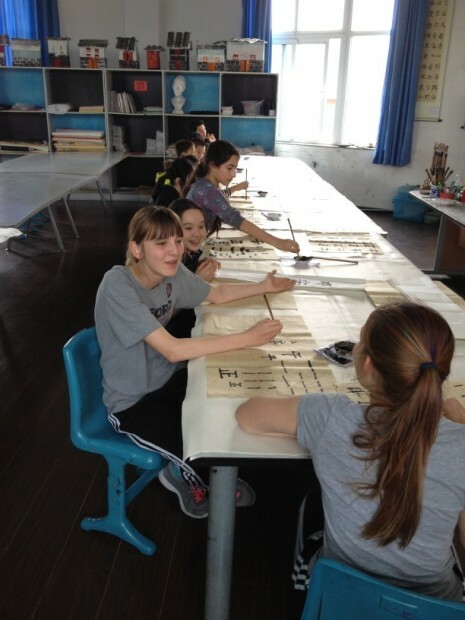 The students then all went to their respective classes, which included the typical subjects like Chinese, English, math, biology, history, geography, and art but also more unique classes, like politics and calligraphy. 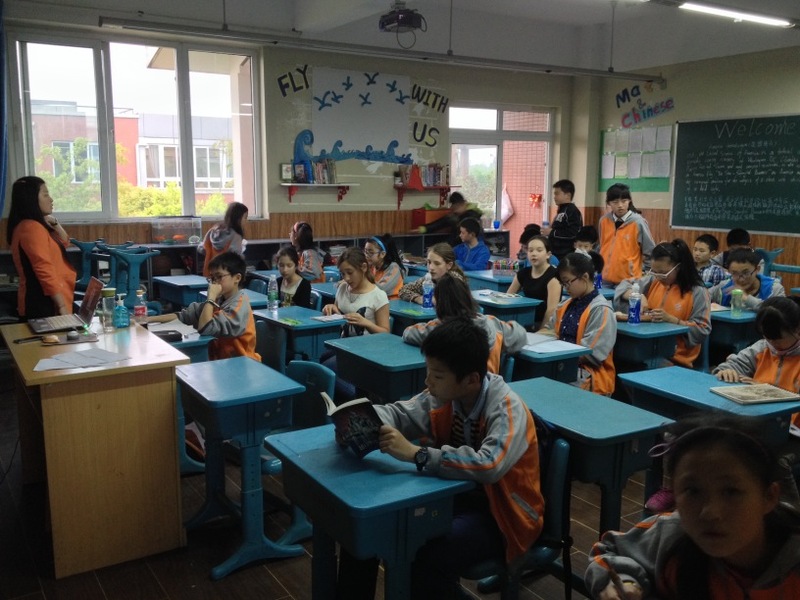 After lunch, the students relaxed in a specially arranged conference room, complete with wifi access, while the Wuhou students took their afternoon nap. All the students then played basketball, soccer, four square, and even badminton using a birdie with real feathers. Next, our students took part in the school's official welcome ceremony. After a speech from the school principal, Manuel, and myself, each student introduced himself or herself in Chinese to the host classes. Shortly thereafter, during the afternoon culture class, our students got firsthand experience in calligraphy, learning about basic brushstrokes from the school's calligrapher. After a small recess break, we all had our dinner at the school cafeteria. 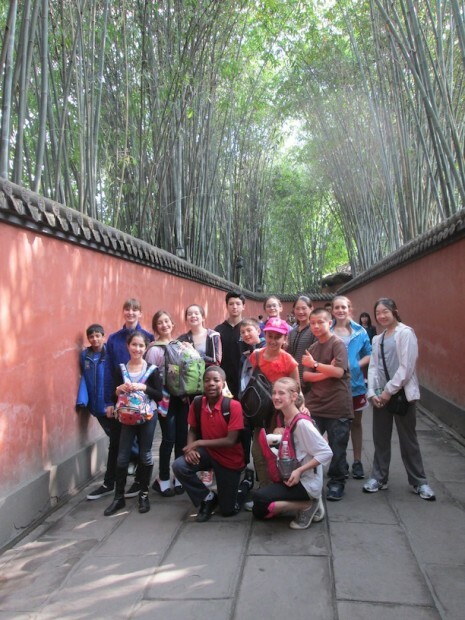 The plan for tomorrow is regular classes with the host students in the morning and an art class in the afternoon.